When you add an appliance to a home or do a renovation that requires a significant electricity draw, you need to add a new circuit. This way you can avoid overloading your current circuits or entire home electrical system. This means heading down to your basement, storage room, or other out-of-sight location. This is where your electrical panel is stored. You check to see if you have any slots available for more circuits. If you don’t have enough slots, you have to come up with a solution. A tandem breaker or new subpanel are two options. Do you add a tandem breaker or two to avoid larger changes, or do you go all out and add a subpanel? You may end up changing out your entire breaker panel for a larger one with an increased capacity. All of this work should be done by a licensed electrician in order to be done in a correct and safe manner. Still, it’s nice to have an idea of what is going on. Each slot on a breaker panel can hold one, single-pole 120 volt circuit. A 220 volt circuit will be double-pole and take up two slots. Tandem circuit breakers are a workaround to this normalcy, and it will put two 120-volt circuits in one slot. The circuits rest side-by-side within one body, and each circuit has its own toggle switch. Your panel must be designed to accept tandem circuits, and there are a limited number allowed in each panel both in approved slots and by your local electrical inspector. Call to find out if they are allowed before having one installed. There are limitations to tandem circuits. They cannot handle cables with a shared neutral, and they don’t have an option for AFCI. These outlets are often a requirement in new construction, so you won’t typically see tandem circuits on new builds. Why aren’t tandems the preferred option? Well, to begin with, they heat up a bit quicker than regular-sized circuits do to their compact size. This can cause them to trip more easily. They can also offset the phase of the panel and must be installed in a manner that attempts to keep balance on the panel. Lastly, they can allow for your panel to become overloaded. Just because you have a slot for a tandem doesn’t mean your panel can handle it. Another drawback to tandem circuits is that they are often not the updated method. If you have any work done by a licensed professional, he or she will likely have to remove the tandem circuit and install another. This could mean that you end up with a subpanel or a new main circuit panel anyway. So, why would anyone choose the option of a tandem circuit? If you’re well under your panel’s capacity and you just need two more 120-volt circuits, it is a shame to have to install an entire new panel or create a subpanel. If you know you aren’t going to have to add anything else in the future, things can really be simplified with a tandem circuit. A subpanel gets its electricity from the main circuit panel rather than the power lines, and it is typically connected to a 240 volt breaker. This power is then split up in a similar manner to the main breaker panel. One advantage of a subpanel is its location. For instance, if you are supplying power to a workshop, and your power equipment trips a breaker, the subpanel can be within a few foot walk of the issue. It is a huge pain in the neck to trip a breaker in the middle of a project and have to stop everything to get to the main breaker panel. 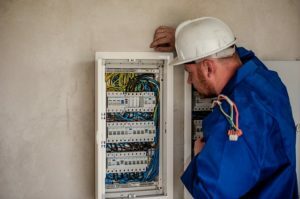 When creating a new structure on a property, it may also be less expensive, from a wiring standpoint, to run wire to a nearby subpanel rather than all the way to the main panel. It is simply logical to have a new location for circuits. It also eliminates the need for further work in the future. You can use full-sized circuits, and you get the job done correctly the first time. If you don’t, you may end up putting up a subpanel anyway. Tandems do have their place, but it isn’t a great place. 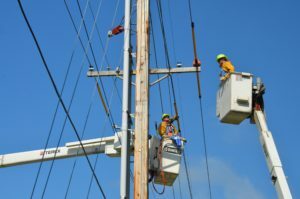 A tandem circuit breaker will underperform, and it is really a workaround that may eventually result in a subpanel or a completely new main circuit panel. It’s not a terrible idea, especially if its temporary or your disposable income is lacking. If you want to do it correctly, a subpanel or new panel is a better option. Remember, you should not be working on your own electrical panel or installing your own subpanel. Let the licensed electricians do it. The power going to your main circuit panel is much greater than the power going to your outlets. Trust the professionals to get your circuits installed safely.